You need to have administrative privileges to be able to upgrade your Мonthly subscription. 1. How to Upgrade your Kanbanize plan? 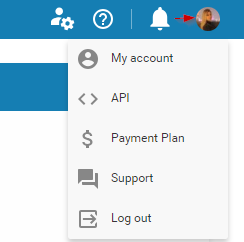 Step 1: To upgrade your monthly subscription -> access your account and click on your avatar at the top right side of your board interface -> select Payment Plan from the menu. Keeping the current Monthly plan and only increase the number of users, add extra features and/or increase the number of Business rules -> just make the changes in the respective fields in accordance with your needs (img. 2). 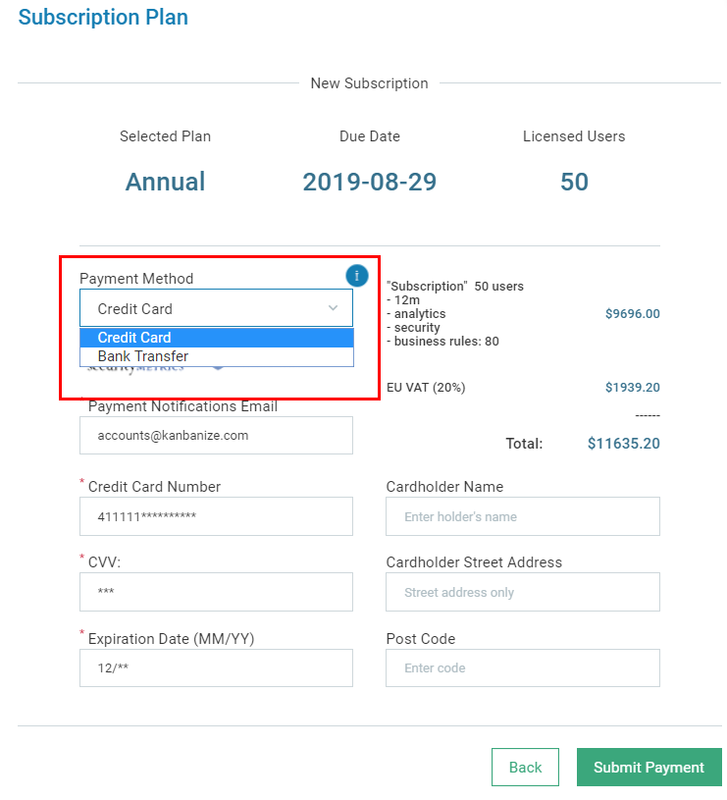 The calculator will instantly display the new total payment amount -> click on Next Payment Details to proceed with your subscription upgrade process. 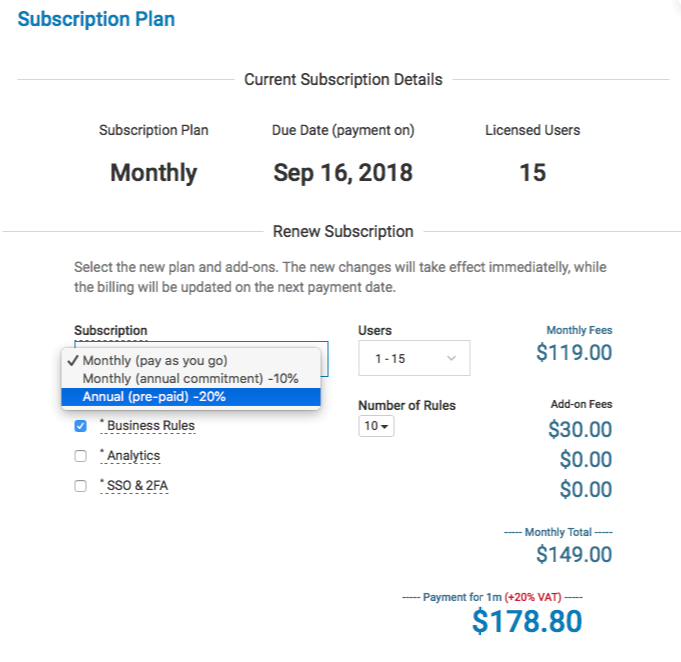 The monthly subscription plan can be paid by credit card only! Please, make sure that your credit card details are up to date and click on Submit Payment to confirm the renewal(img.3). If you have upgraded to the annual plan you will be able to pay either by credit card or bank transfer. The extra features will be available to your account immediately upon submitting the upgrade, but your credit card will be charged on the next due date of your subscription.